Everything is set and ready for the 10th Annual Lagoon Reef Eco-challenge. Taking place on Saturday, May 10th and Sunday, May 11th, the challenge will consist of kayakers paddling through San Pedro’s lagoons and sea in hopes of winning a grand cash prize. Organizer of the event, Elito Arceo has stated that this tenth anniversary race may be one of the best ever. Paddlers take off from El Embarcadero, on the lagoon side of the island, on Saturday at 7AM, making into the lagoon area of San Pedro. The first day of the race will take kayakers up to the Basil Jones Area in Bacalar Chico Marine Reserve where they will camp out for the night. The second day of the race kicks off on Sunday at 9AM as kayakers sprint from their campsite to Central Park, along the eastern coast of Ambergris Caye. The San Pedro Tigersharks continued their winning streak in the National Elite Basketball League after they defeated the Belmopan Bandits in week 12 of the regular season. The Tigersharks gave up their home advantage and took the game to the University of Belize Gymnasium on Friday May 2nd for the rematch. After a tough game, the islanders came out victorious, continuing their lead in the NEBL. On May 10th the Tigersharks will play the DangrigaWarriors ina Mother’s Day visit in week 13 of the NEBL. Game time is set for 8PM at the Ecumenical High School in Dangriga Town. We wish the San Pedro Tigersharks all the best! Here is your first look at Harper’s Bazaar Interiors Magazine’s Travel Issue on Belize featuring the First Lady of Belize Mrs. Kim Simplis-Barrow. Belize’s First Lady was host to Harper’s Bazaar as she showed off the hidden beauty of our country Belize. “We are ecstatic with the results and with the massive interest it has received on social media in the weeks prior to its release!” stated Luigi Irauzqui, International Style Editor for Harper’s Bazaar Interiors. Who doesn’t love making arts & crafts? It’s fun for children and adults too! A group of students from the University of North Georgia came to San Pedro to conduct a workshop on how to make jewelry from paper beads. The group consisted of Mrs. Kathy Simmons, Lisseth Keaton, Kristin Xiong, Khanh Tran and Sally Tang. Students from the University of North Georgia have been conducting paper beads workshops since 2007 in Nicaragua and decided to share this art to the community of San Pedro for the first time ever. Workshops were conducted at San Pedro High School and Holy Cross Anglican School. Participants were taught to measure, cut, roll and glaze beautiful beads out of recycled paper. They were even given a short introduction in marketing so that they can have their own business of selling beautiful paper bead jewelry. This week's trailblazer is a little late but here's a look at the accomplishments of Mrs. Faith Babb! Mrs. Faith Babb’s political career is best defined not by the office she once held, but rather the journey that led her to it. She was exposed to politics in her early childhood by attending political meetings with her patriotic grandparents. She became a member the UDP in her teenage years and has worked her way through the ranks of the party from foot soldier to a decision maker in the Party’s Central Executive Committee as National Director of Women. She later, along with other women, formed the UDP – National Organization of Women which certainly helped to propel her to become a candidate for National Election. BELIZE is featured in an 11 page spread in this May/June issue of Harper's Bazaar Interior, and the introduction to our beautiful country is undertaken by Special Envoy for Women and Children, Mrs. Kim Simplis Barrow. The issue which features unique establishments and destinations across Belize includes an interview with Mrs. Barrow about her work as an effective advocate for child protection, cancer awareness and various other causes. The Tourism Industry is such an integral part of our growing economy and we will certainly benefit from the exposure Belize will receive being featured in a magazine with the prestige and audience of Harper’s Bazaar. There are many wonderful people to thank; starting with the hotels who immediately bought into the idea and where thrilled to be featured. 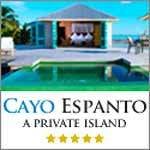 Thank you to the management and staff of El Secreto, Victoria House, Cayo Espanto and Turtle Inn. Thanks also to the production team: creative Director - Luigi Irauzqui, photographer - Benny Haddad and cinematographer - Laurent Levy. Francesca Dutton and Kelly Mi Li for Skinny Bikini and hair stylist, Daniel Baseggio, thank you! We are also very proud to say that our very own Belizean makeup artist, Vanessa Awe and Joris Hendrik Design were a part of this Belize feature; thank you both. Thanks, of course, to the Belize Tourism Board and a very special thanks to Rue Kothari – Editor of Harpers Bazaar Interior. Very very special thanks to: Abraham Roffe, Jeff Gram, Martin Krediet, Janet Woolham, Allysa Carnegie, Evan Young, Mick Fleming and Lucy Fleming at The Lodge at Chaa Creek. THANK YOU ALL. 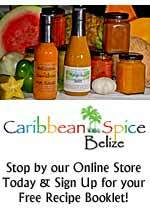 Let’s celebrate our beautiful Belize! 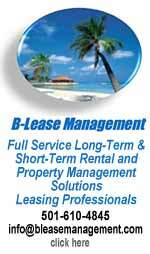 BELTRAIDE & McNab Publishing Ltd. are pleased to announce their new partnership for the Invest Belize Magazine. The Invest Belize Magazine made its debut early last year and BELTRAIDE's 3rd volume is set to be released this coming September. The magazine is Belize's prime business and investment magazine comprised of engaging articles, enlightening statistics and important information on the country's business community. Invest Belize Magazine provides an opportunity for Belizean Businesses to make their mark; with its wide distribution both nationally and internationally, Invest Belize welcomes both local and foreign parties and promotes their investment in our country. McNab Publishing Ltd. is proud to be partnering in this new venture and to be a part of the growth of this useful tool for promoting Belize. Lime at the local Corozal fruit market is now 3 limes to one Belize dollar. A few weeks ago this same lime sold for one Belize dollar per lime. Certainly the effects of the increased prices ultimately trickled down to the consumer. In Belize the citrus greening has created the shortage of lime in every district. The Asian Citrus Psyllid insect is blamed for the cause of lime shortage in Belize. This insect is considered a pest with a destructive appetite on citrus plants, especially lime, and is responsible for the citrus greening disease. Experts have stated to the Belize media that the disruption in the lime market in Belize by the citrus greening disease may take as long as two years to improve. This is a long wait for the turn-around in Belize as lime imports from Mexico may have more impact in Belize due to the lime squeeze in that country. Demand for Mexican lime is at a high and has cause a price gouge in that country. The Ministry of Natural Resources and Agriculture takes this opportunity to advise and inform the General Public and more specifically the residents of the Harmonyville Development Area that it is unlawful to clear and occupy any land designated as a Buffer Zone Area (Reserve). Saint Martin's Credit Union is having a Mother's Day celebration on Saturday, May 10th, at their office. They'll have live marimba music, and some food and refreshments for everyone. They'll also have a raffle. Thanks, SMCU, and happy Mother's Day! Adventures in Belize, located on Mile 41 ½ Hummingbird Highway, Belmopan, Belize, is launching its first Facebook Photo contest. 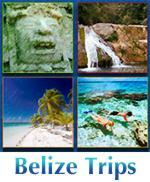 The Facebook contest which begins May 7th, 2014 and ends on June 5th, 2014 will give potential clients a chance to experience Belize in a fun and adventurous way. To enter, contestants are required to go to the “Photo Contest!” tab on the Adventures in Belize Facebook and submit a photo of them vacationing anywhere in the world and explain why they would love to visit Belize. Once their entry is submitted, they can ask friends and loved ones to vote for their photo and try to gather as many votes as possible. At the end of the contest Adventures in Belize will review the top three submissions with the most votes and choose a winner. The winner, along with a friend or loved one, will get to enjoy the prize of a 3 nights complimentary accommodations in a Tropical Villa along with complimentary continental breakfast at El Secreto Resort. El Secreto Resort is located 11 miles north of San Pedro Town, Ambergris Caye, Belize. All villas are equipped with a King size bed, a state of the art led lighting system, air conditioning, iPod dock station, LCD, TV, mini bar, safe, hair dryer, Melita coffee maker, 400 thread Egyptian Cotton Vivenda linens and Malin & Goetz amenities. BCB Holdings Limited announced that John Searle has decided to retire as a director of the company and its subsidiaries, the Belize Bank Limited and Belize Bank International Limited, with immediate effect. Mr Searle, who is 77 years of age, has been a member of the board of directors of the Company since its incorporation in 1987 and was also an original member of the board of directors of The Belize Bank Limited. Mr Searle has dedicated nearly 30 years of service to the BCB Holdings Limited group of companies. The Organization of American States is having their Culture of Peace Art Project at the Benque House of Culture. They've posted lots of pictures , and more, from the event. "Engaging and empowering children,youths and adults in artistic expressions for the next 6 months is a task undertaken by the OAS Culture of Peace at the Benque House of Culture. Daily art lessons from 9a.m.to 7:00p.m. Pursue your favorite Art-music or visual arts, lessons and materials are all free of cost." Cahal Pech Village Resort, one of the largest hotels in San Ignacio Belize, has just launched a new website. According to CEO Peter Tonti, the new website redesign is part of the resort’s long term plan of upgrading its facilities and services and will offer guests a unique user experience allowing them to easily navigate via desktop, mobile or tablet devices. The homepage of the website features a potpourri of beautiful images such as the hotel’s fresh water swimming pool, Actun Tunichil Muknal Cave which is one of the most visited caves in western Belize, a cozy palm thatched cabana, a honeymoon couple, and the ancient Maya ruins of Cahal Pech which is just a 5 minute walk from the resort. Your romantic adventure starts as soon as you turn down the dirt road, moving away from civilization and in to the scenic Mountain Pine Ridge Reserve. 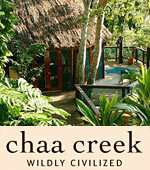 After a bumpy ride and a short hike down a steep path, you arrive at one of the most secluded destinations in Belize! You can hear the water long before you see it, but the view is what really takes your breath away! One hundred and fifty feet of fresh, tumbling water is the setting for your private day out. After you take in the stunning view (and grab some photos, of course!) it’s time to take off those hiking clothes and jump in to the ice cold water for a refreshing swim! “Do you see it? It’s right there!” our guide, Harry Sr. exclaimed as he pointed out into the translucent waters. We didn’t see anything, but eagerly moved to the front of the boat to search for the elusive Manatee grazing on turtle-grass at the bottom of the sea. There in the shadows of the Swallow Caye Wildlife Sanctuary, we finally saw the dark formation swimming near our boat. It was our first Manatee sighting! Manatees are gentle herbivores found in the coastal areas and rivers of the Gulf of Mexico, the Caribbean Sea, the Amazon Basin and Western Africa. Sometimes referred to as “sea cows”, these slow moving animals also have a slow metabolism and in order to survive, they’re typically found in shallow, warmer waters. “Even though the Statistical Institute of Belize issued a press release in February of this year correctly cautioning that GDP growth, it has no direct correlation with unemployment rate; we still need to ask where new jobs will come from when the economy is growing very little or not at all. Keeping in mind that the September Labour Force Survey gave an official unemployment figure of 14.2% or approximately 21,000 people, how can an economy growing at only 0.7% create jobs for that many unemployed? Bear in mind that the Government of Belize already hires almost 15,000 people at a total annual wage bill -footed by taxpayers- of just over $332 million, so it cannot create 21,000 more jobs within its own ranks. This leaves the private sector to do the needful, but how best to do it? One quick way to create sustainable jobs is to encourage foreign investors to bring new money and business activity into the economy.”— (Kay Menzies, president of Belize Chamber of Commerce). In October of last year, reports surfaced of a massive case of embezzlement at the Southern Regional Hospital. Initial reports said that as much as $300,000 thousand dollars were misappropriated from the hospital's Maternal and Child Health account. The Administrator Nasley Somerville was immediately placed on suspension - and she remains on that tonight, awaiting a hearing form the public services commission. The commission will rely heavily on the completed report from the Auditor General. The 22 page document was submitted a month ago, and tonight, 7News has been leaked a rough copy of 15 of those pages. It paints a picture of massive fraud that went unchecked because of a total absence of internal controls at the Ministry of Health. Here now are the report's major findings. Jules Vasquez reporting "Confidential" - the Audit Report was submitted on April 11th, subject: the suspected embezzlement of 366,468.88 from the Maternal Child Health account at the Southern Regional Hospital by Administrator Nasley Somerville. There was a murder yesterday evening in Ladyville. Police say it happened at around 6:30 where a Belize City resident was killed in a very deliberate act. Vince Martinez had gone to a funeral in the village, not knowing that by the end of the day, his family would be preparing for his own. Monica Bodden spoke to the family today:.. Monica Bodden reporting 27 year old Vince Martinez Jr took his last breath under this bus stop in Ladyville - after he was cold-bloodedly gunned down just before 7 last night. The young man had attended a funeral for his grand uncle earlier that evening and was waiting on a bus to return to Belize City. But he never made it home. Instead, his motionless body was picked up by police and put in the pan of a mobile - and taken to the City's morgue where his family was waiting. ASP Chris Noble - Rural Executive Officer "What we know is that the police did get information of a shooting and we came out here. We met one male person with an apparent injury to the head. The person succumb on the scene and we have persons or a person that we may be looking for not from this area. We've establish that the gentleman does not reside in the Ladyville area, buy may have been coming from an event in the Ladyville area." Raonel Valdez - last night we showed you how he was taken away to Florida - at the very minute that the Immigration Minister Godwin Hulse was saying that his future was in the hands of the Cuban government - and he would remain in jail until they decided. So what went wrong? Did the Immigration Department go behind the Minister's back? Hulse says they didn't. Here's what happened. He explained that indeed that Valdez requested to be turned over to the United States. His country of origin Cuba had no interest in him - as is its standard policy for any citizen who has left the island for the United States. So, Valdez, who had paid his fine for entering Belize illegally was free to choose. Hulse says he didn't know things had reached that point - but the protocol he explained does engender the detained person's freedom to choose their next destination. Almost exactly two years ago - the Belize Energy Workers Union at BEL stirred. They were angry because the power company was making layoffs: of linesmen and power plant operators. Things cooled off though when the Labour Commissioner got involved as a mediator - meaning that all plans to proceed with layoffs were frozen. The status quo remained until today when Union leaders came to our office saying that BEL wants to terminate four power plant operators as soon as May 17th. Now, a union exists primarily to make sure its members keep their jobs, so this deadline spurred the energy workers into action. They say they are appealing directly to the board of directors since management is not listening to them:... Marvin Mora, Vice President - BEWU "This time they have given us a date and they have proposed the 17th May to make these guys positions redundant and terminate the guys. Because of the arrangements that we have on our partnership collective agreement the company should have made provisions for those workers to be re-trained and placed somewhere else in the company. They issue has been long in the back burner for over 3 years and still the company has not been able to re-trained not even one employee and relocate an employee elsewhere so that he can keep his longevity service at BEL. The point is that we are past management and now are trying to address this issue with the board of directors to look at what the union side of the issue is and explore all the points that we are bringing to the table before they make a final decision that will ultimately impact all consumers in this country. You see, it is critical to note that the gas turbine is a key element is restoring back power to the country." And so, while that is the position of the Belize Energy Workers Union, this evening the Manager of Corporate Services granted us an interview. She explained that the company is indeed considering that these employees have given 20+ years of service to the company. They've subsequently made attempts to get them trained to fill different positions but these employees refused. Here's how the company representative explained their version of events: Dawn Sampson Nunez - Manager, Corporate Services - BEL "In 2012 the company had given notice to the employees involved that the company would commence remote operations of the gas turbine facility. In giving that information, the company at the same time offered the employees involved the opportunity to be trained so that they would be able to take on job opportunities in the company - trained them and get them prepared for other opportunities within the company. Unfortunately that offer was rejected back in 2012 and you will recall if you go back to your news archives that the matter was escalated to the labor commissioner and thereafter to the minister of labor. Since 2012 up until now we've been in mediation. So instead of using that time for training and getting them ready for this point where we are commencing the remote operations we were dealing with mediation and that's very unfortunate." The Caribbean Court of Justice has ruled that it will hear a case brought by Jamaican Gay Rights Activist Maurice Tomlinson which has implications for the entire Caribbean. He will be allowed to challenge the Immigration Laws of Belize and Trinidad and Tobago on the grounds that it violates the rights of LGBT persons living in the Caribbean to move freely throughout CARICOM. His application for special leave to bring his case was heard in November of last year. He needed special permission to be heard as an individual because his home nation, Jamaica, refused to bring the claim on his behalf. They did so on the grounds that he has travelled to both Belize and Trinidad and Tobago without any problems before, so his right to free movement has not been blocked before. The latest tourist arrival figures have been released and they show increased in both the overnight and cruise sectors. Cruise tourism had the strongest showing: up 22% from the same period last year - meaning that 322 thousand cruise visitors came in the first three months of the year. March alone was up 39% from the previous year. There was a 10.25% increase in airport arrivals for those first three months, and in line with that arrivals of overnight tourists went up by 9.67%, compared to 2013. The BTB reports that overnight arrivals in the first three months of 2014 have all exceeded 30,000 visitors culminating in a total of 101,982 guests at hotels. SATIIM To GOB: "Corrupt, inept, despotic and discriminatory"
Last week Tuesday, the Administrator of National Parks and the Chief Forestry Officer officially waived the expiration date on the permit they granted to US Capital Energy to enter the Sarstoon Temash National Park to conduct oil exploration activities. It's been a week since that decision, but yesterday, SATIIM and the buffer communities of Midway, Conejo, Crique Sarco and Graham Creek, voiced their anger at the Government of Belize for that decision. They've interpreted it to mean that Government is ignoring their Mayan Customary Land Rights. And so they describe the waiver as quote, a "historical trademark of a corrupt, inept, despotic and discriminatory government." Strong words, and the communities added that the waiver of the permit is an attempt to circumvent past rulings of the court, including the last one from Justice Michelle Arana delivered on April 3. There are two 4th Form graduates of Saint John's College who are preparing to participate in a prestigious engineering program at the Cave Hill Campus of the University of Belize. It's called the Caribbean Science Foundation's Student Program for Innovation in Science and Engineering (SPISE). It will be a month-long science-based program where Belizean candidates, Mishek Musa and Siian Rancharan will get an educational benefit afforded to 18 other chosen students from the Caribbean. Today, we spoke with Rancharan about the distinction of his representation given the rigorous selection process. He also placed in the context that the Belizean society doesn't place a high value to pursuit of science in higher learning: Siian Rancharan - Selected for Engineering Program "I was hopeful. I wasn't sure if I would get in but it was kind of nerve racking in the sense that they only had limited names on the slots and in terms of the entire Caribbean, you are competing from a lot of different Caribbean countries. I think it's interesting because I know that the program has been for the past I think 2-3 years and we've only had one student from Belize in the very first year and then last year we didn't have any. I was very happy when I found out that my classmate and I would be doing it." The Miss Y pageant has become a cultural fixture: a bellyful of laughs intermingled with a healthy regard for ageing gracefully. This year's pageant is no different as the YWCA's flagship fundraiser. We met the contestants today:..
Today, the Belize Tourism Industry Association held the first day of their 2014 Belize Tourism Expo at the Princess Ramada Hotel in Belize City. The expo comes around every 2 years, and brings stakeholders in the industry in location to promote their tourism products. 7News stopped in to see what this year's participants brought to the showcase. The President of the Association explained its importance: Herbert Haylock - President, Belize Tourism Industry Association "It's the Belize Tourism Expo, it's the 2014 event. We do this event every two years, so the last event was in 2012 and then part of that was in 2010. The event is really one that's geared towards getting again the BTIA membership in particular because it's for that particular emphasis and purpose for the association to be able to have those members come to the floor like this at this particular show and offer and present what they have to sell to again, incoming agents and wholesalers who are here basically to do business. So what is going on behind me on the floor is you have business taking place where agents and wholesalers are meeting with particular properties and talking about what they have to offer and how they can be incorporated particularly into those agents and wholesalers itineraries and what they sell and sell onto their clients and customers." Kim Barrow's 11 page spread in Harper's Bazaar Interiors was launched last night at the opening of BETEX. Wait, did we say Kim Barrow's spread? Sorry, that's our bad! A release from the BTB says the spread, quote, "showcases the beauty of Belize." The official spiel reads thusly: "it gives readers a closer look at the simplistic, yet cultured lifestyle of Belizeans, depicted through the eyes of Mrs. Kim Simplis Barrow." Wow, and here we were, thinking (simplistically of course) that self-promotion had somehow magically blended with tourist promotion. 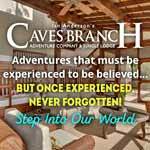 The magazine features Victoria House, El Secreto, Cayo Espanto, Turtle Inn, Silk Cayes & Splash Dive Center, Lamanai Archeological Site and Lamanai Outpost. Love news has confirmed that there was a robbery at the Belize Western Energy Limited in San Ignacio Town next to the ITVET compound. Police in that municipality has detained one person. We will have details of this story in our newscast tomorrow. Some residents of the 1300-acre subdivision area, Harmonyville, located at mile forty one on the George Price Highway are being cautioned by the Ministry of Natural Resources, specifically the Lands Department, after it was discovered that the Buffer Zone Area also referred to as ‘reserve’ is being tampered with. Such an act is deemed unlawful and as such the ministry has issued a release to the media and to the residents that those involved should cease and desist from doing so as a continuation of such activities can result in the demolition of any structures being placed on the reserve area. The release noted that on April 29, a letter of eviction and an order to cease and desist any ongoing development in the buffer zone area was issued to individuals of Harmonyville Development Area, informing them that the clearing of lands in the reserve area or the occupation of land designated as reserve in that subdivision is illegal. The notice added that any activity done on the designated reserve area should have the permission of the Lands and Survey Department otherwise the area should be left in its natural state. The Caribbean Court of Justice in Trinidad and Tobago, today, granted an application for leave that was submitted by Maurice Tomlinson’s, challenging the immigration laws of Belize and Trinidad & Tobago. Tomlinson, who is a gay activist, applied for leave on the matter as a Caricom national. The CCJ says that ‘the mere existence of the provisions is enough to show an arguable case of prejudice as a gay national of a CARICOM country and that it was in the interest of justice that the matter proceeds as it calls into question significant aspects of community law, its relationship with domestic law and the obligation of states.” Section 5 of our Immigration Act forbids, ‘any prostitute or homosexual or any person who may be living on or receiving or may have been living on or receiving the proceeds of prostitution or homosexual behaviour. Love News was out there and we got the reaction of the Acting Solicitor General, Nigel Hawke. Kareem Musa, the attorney for Cola who says he is pursuing a private prosecution case against Elvin Penner appeared on the local television stations once again on Wednesday. His jugular vein was about to burst open as he shouted, ranted and raved about where the prosecution stands at this time. He is leading a charge against Elvin Penner for what he did as it relates to ONE passport which in the end was never issued to anyone. Kareem must have had to use all his energies for him to restrain himself from publicly making the same call that he is making against Penner against his own father. Yes, Said Musa is the father of the very Kareem Musa who has now become the regular shouter on television newscasts. Believe it or not, Said Musa was responsible for the sale of hundreds of passports, millions of dollars of which are unaccounted for and where various protocols were simply bypassed and rammed through the immigration department. We are sure Kareem knows about these. If he does not know about it maybe he should use the very zeal that he is using against Penner to have the Auditor General provide him with the report that states as much. Helicopter mechanic with the U.S. military, Sgt. Dwight Burn, 27, lost his life after a Ch47 Chinook helicopter he was in crashed on Saturday. Burn was one of 4 persons inside the aircraft and was the crew chief on board the chopper when it went down. He was the only person who died as a result. The chopper went down at around 8:15p.m on Saturday May 3 near Orogrande, New Mexico in the desert training area north of the Fort Bliss Garrison. Burn is Belizean and the son of Romel Perdomo. He lived in Belize City until the age of 4 when he migrated to the U.S. where he studied and joined the military in 2010 rising to the rank of sergeant. He is survived by his two daughters: Violet,7, and Vivian, 4. On July 1st, Belizeans will benefit from another decrease in electricity rates. The exact rate reduction is not final as yet but it is certain that the Mean Electricity Rate (MER) will once again be lower than it was at the time of the nationalization of the Belize Electricity Limited (B.E.L.). On April 1st of this year, B.E.L. submitted an application to the Public Utilities Commission (P.U.C.) for an Annual Tariff Review Proceedings (ARP) covering the period July 1st, 2014 to June 30th, 2015. In its application B.E.L. proposed a reduction in the Mean Electricity Rate from 44.65 cents to 43 cents per kilowatt hour (kWh). This is the third consecutive tariff review proceedings in which the company has proposed a rate reduction. The P.U.C. reviewed B.E.L.’s proposal and made some adjustments. According to John Avery, Chairman of the P.U.C., “B.E.L. proposed a substantial increase in approved Operational Expenditure which the Commission does not see necessary at this time.” The P.U.C. also approved less for assets addition to the Regulated Assets Value than was proposed by B.E.L. Avery says the company proposed certain investments that are not necessary under this tariff period. Despite the fact that the P.U.C. rejected B.E.L.’s proposed increase in Operational Expenditure and reduced the amount of proposed assets addition, the Commission’s methodology resulted in a necessary Mean Electricity Rate that is higher than that proposed by B.E.L. The P.U.C. has approved a MER of 43.47 cents per kilowatt hour. Landy Espat popped out his head, from wherever it was he had it on Tuesday to decry what he and only he is calling a land grab. Just a couple of weeks ago his PUP colleague Landy Habet was on television showing a cup of water that was dark. He claimed that it came from the faucet at his home and it was dirty. Not responding to Habet’s complaint but in an effort to improve water service to the San Ignacio, Santa Elena and surrounding communities, BWSL has been in the process of upgrading the water system in those municipalities. Currently the existing 50 year old system can neither suffice the expanding municipality either in the amount of water that is required or the quality needed. For over a year now discussions have been taking place to see how those improvements can take place and that had the company looking for a new location on which the water system can be expanded on. The most plausible route for expansion was for BWSL to take over the property where the fire station now sits and relocate the fire station elsewhere. With that a new location within the town limits was sought and the only possible location was a parcel of lot which sits behind the current Center for Employment training. Prime Minister, Hon. Dean Barrow announced at a Special Sitting of the National Assembly that “we would never have wanted to take over a BEL that is debt-overburdened and on the brink of operational collapse. But in one of those perfect ironies of life and politics, it is this very state of affairs that obliges us to take it over. And so we will.” A bill was then introduced for the “assumption of control over electricity supply by the Government in the public interest”. At the time BEL owed approximately $27 million- $5.1 million to BELCOGEN, $10 million to Mexico’s Comision Federal de Electricidad(CFE) and $12 million to Fortis’s BECOL. Those were in addition to debts owed to other financial institutions. The company, for all intents and purposes was on the verge of collapse. But more than being on the verge of collapse, it was a company, which under Fortis' management was threatening "rolling blackouts" if it did not get rate increases as stated by Fortis' principal at the time, Stan Marshal. When the Prime Minister decided to nationalize BEL, the bill was passed at 12:20p.m. and low and behold her Majesty’s opposition, the PUP, was absent. They chose to abstain themselves from a singular act that is now proving to be a God-send. It is likely that they opted to not even have an opinion on the matter because they were the ones who sold BEL to Fortis, and they were the ones who would have forced the country into "rolling blackouts" and more than that, into BEL rate increases. The Belize Tourism Industry Association has filed an application for Judicial Review Proceedings to challenge the decision of the National Environmental Appraisal Committee (NEAC) and the Department of Environment when they approved Norwegian Cruise Line’s Harvest Caye Cruise Port project. On Friday, March 28, the BTIA’s attorney, Godfrey Smith, wrote to Martin Allegria, the Chief Environmental Officer, who is also the Chair of NEAC demanding that they rescind their approval of the project citing a lengthy list of environmental regulations that the project violates. The BTIA also demanded that the appraisal committee put the NCL environmental impact assessment to a public hearing, which is different from the public consultation held in Independence Village on January 22. Their reasoning is that by way of a public hearing, they believe that all the scientific environmental concerns would be better documented and considered than if they only submitted their concerns in writing. Another major concern of the BTIA is that there was an appearance of secrecy to try to quell the opposition to the project by failing to publish all relevant information for public consumption in a timely basis, as required when dealing with environmental impact assessments. Education Showcase 2014 is being held under the theme ‘Quality Teachers: Nurturing the Inherent Potential of our Children’. Over the next two weeks, students from all levels of education will be using lessons from the classrooms to make public presentations. There will be training workshops, literacy fairs and it will end with a grand celebration of dedicated educators. The focus on the first three days of Education Showcase 2014 was the promotion of financial literacy in Belize. Price Waterhouse Cooper (PWC) and Peacework International has been holding financial literacy camps in Belize since 2008 and they held their latest on Monday, May 5th, and Tuesday, May 6th. Financial Literacy has been an important component of education for Hon. Patrick Faber’s Ministry of Education. Belize, like many countries in the Caribbean region, is far behind developed countries in the area of financial literacy. The culture is one that does not allow children to be involved in financial discussions. Very few parents speak to their children about bills, budgeting and other financial affairs. Majority of the population is not even exposed to elementary level financial literacy training. It is for this reason that the Ministry of Education takes its partnership with Price Waterhouse Cooper and Peacework very seriously. Kim Simplis-Barrow’s advocacy for special needs and underprivileged children and her brave public battle with breast cancer has drawn admiration from across the globe. It has resulted in numerous requests for features in international publications. Each time such requests are made, she says yes on one condition- that the feature be more about the country than it is about her. Harper’s Bazaar Interiors is the most recent international publisher to make such a request and once again, upon saying yes, Mrs. Barrow made sure that the wonders of the country would be showcased in the feature. It would have been easy for Mrs. Barrow to simply allow them to do a photo shoot and interview in some studio in Los Angeles. Instead, she insisted that the setting for each shoot be one of Belize’s many tourist destinations. This is not a condition that publishers regularly would accept. The result of such condition would in effect be leaning the article closer to the category of an advertisement and advertisements in such magazines cost somewhere in the neighbourhood of US$40,000 for a full page spread. The magazine accepted Mrs. Barrow’s proposal and changed the angle of its special feature. Belize National Football Team Player, Ian Gaynair was all smiles on Wednesday May 7, when Hon. Mark King handed over to him the title to parcel 394 on block 45 in the St. Martin de Porres Area of Belize City. Gaynair had been dragged into a political back and forth last year when claims were being made that Hon. King had taken his land when the reality was that the land had been taken away during the PUP era. Quick to respond to the matter, Hon. King contacted Gaynair and the process started almost immediately to secure another parcel for him in the Lake I division. Last year, on August 28, Hon. King handed over a lease to the very parcel 394. Nine months later, the title was handed over to the football star. Speaking to the media Gaynair said he was happy that of all promises that had been made to him by various people, this was one which was delivered on. He said he has been saving up some finances and is looking at put up a house on his land. He went further and jokingly asked Hon. King if he could assist him with that as well to which the minister quickly replied, "check the National Bank." (the National Bank offers finances to persons like Gaynair for home construction.) But jokes aside, King had taken up all expenses in acquiring the land and the leg work which it takes to get the lease and finally the title. On Wednesday April 30, A special recognition ceremony was held for the administration and staff of the Matron Roberts Polyclinic II in Belize City. The Ministry of Health hosted the ceremony to publicly recognize, honor and showcase the outstanding performance of the polyclinic in obtaining the highest scores as a National Health Insurance (NHI) Primary Care Provider (PCP) facility in the Southside Belize City area for 2013. During the ceremony, Chief Executive Officer in the Ministry of Health Dr. Peter Allen said that the Matron Roberts Polyclinic II has consistently been receiving high scores in their most recent yearly NHI facility evaluation assessments for Southside Belize City. For 2013, Matron Roberts Polyclinic II received a total value of 100% in facility assessment, services, health team and key equipment. This week the Special Envoy for Women and Children is recognizing Hon. Faith Babb as the trailblazer of the Week. Mrs. Faith Babb’s political career is best defined not by the office she once held, but rather the journey that led her to it. She was exposed to politics in her early childhood by attending political meetings with her patriotic grandparents. She became a member the UDP in her teenage years and has worked her way through the ranks of the party from foot soldier to a decision maker in the Party’s Central Executive Committee as National Director of Women. She later, along with other women, formed the UDP – National Organization of Women which certainly helped to propel her to become a candidate for National Election. Mrs. Babb is the first UDP woman elected to the National Assembly and the first woman to serve as Area Representative for the Collet Division. She was also the Deputy Speaker of the House of Representatives and was appointed Minister of State in the Ministry of Human Development, Women Affairs and Youth in the UDP Administration of 1993-1998. She served as acting Minister, responsible for this portfolio on many occasions, and was eventually upgraded to being a Minister. The Ministry of Energy, Science & Technology and Public Utilities (MESTPU), which has oversight of petroleum operations in Belize through its Geology and Petroleum Department, is compelled to clarify the continued misstatements by the media regarding the scope of the permit issued to US Capital Energy Belize Ltd., (US Capital) by the Forest Department on April 30, 2013. The permit issued to US Capital Energy Belize Ltd by the Forestry Department is a permit to enter the Sarstoon-Temash National Park for the purpose of conducting petroleum exploration drilling operations and not a permit to conduct drilling operations. It is the Ministry with responsibility for the Geology and Petroleum Department and not the Forest Department that issues permission, through legally binding Production Sharing Agreement (PSA), for oil exploration in Belize as specified in the Petroleum Act. 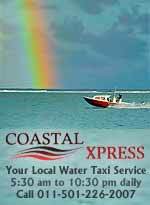 The Government of Belize signed a PSA with US Capital on January 22, 2001 with two subsequent amendments. It is this PSA that grants permission to US Capital to conduct petroleum explorations throughout its concession area, inlcuding the Sarstoon-Temash National Park. Yannick Wade, 27, a police constable from Belize City attached to the San Pedro Police Station, is currently at prison because he allegedly stole a cache of weapons and ammunition from the police station sometime between Wednesday, April 30, and Friday, May 2. It is being viewed as a betrayal of public trust that these weapons were stolen because it is an accepted practice in the Police Department that licensed weapons are taken to the police stations countrywide for safe keeping when owners are unable to do so. On Wednesday, April 30, the KBH Security company left eight .38 revolvers along with 101 live rounds of .38 ammunition with the San Pedro Police believing that they were in good hands. Reliable reports to the press is that Wade called in sick on Thursday, May 1, and on Friday, May 2, at 7 a.m., it was discovered that the weapons and ammunition were missing. Police investigators immediately activated, and they zeroed in on Wade as a suspect. They conducted an extensive raid at his girlfriend’s house at the corner of Cemetery Road and Johnson Street. After hours of searching, the officers found 2 of the missing guns and 8 rounds of .38 ammunition. The entire family was detained by the officers but on the advice of the Director of Public Prosecutions, only Wade was charged. On Wednesday May 7, Brandon Smith, aka “Battery” was remanded to the Belize Central Prison along with 28-year-old Alrick Smith, a Mechanic of #19 Matron Robert Street in Belize City, after they were accused of trying to kill four Belize City Police Officers, on Saturday, March 16, 2013. The incident occurred during a shootout with police on Mahogany Street in Belize City whilst the uniformed men were in the execution of their duties as police officers. On Monday of this week, May 5, both Smiths saw the charge struck out for want of prosecution when the case file was not available in the court room when the matter came up. The prosecutor told the Chief Magistrate, Anne Marie Smith that the case file was at the DPP’s office at the time. With that explanation the Chief Magistrate, struck out the matter for want of prosecution warning the men that the charge could be brought back at any time. That happened on Wednesday and the charges were brought back. On Wednesday May 7, Edward Cabañas appeared in Magistrate’s Court where he was read a single charge of murder against his 19 year old brother Brandon Cabañas. The charge was brought back against Edward after the matter was struck out on March 25. Edward is accused of stabbing Brandon Cabañas twice on Saturday December 29, 2012. The incident took place during an altercation between the two brothers in Sandhill Village. Brandon 19, a father of a 3 year-old boy was stabbed twice, once to the left and right upper thigh he was taken to the KHMH where he died while undergoing treatment. San Ignacio Police have arrested two persons for marijuana possession. On Thursday of last week, a Quick Response Team was conducting a mobile patrol in San Ignacio Town when their attention was drawn to a brown in color pickup truck, which was coming from the direction of Benque Viejo Town at high speed. As a result the vehicle’s driver was signaled to pull over, but upon seeing that Police officers, the driver drove off at high speed. Police then followed the driver to Stanton Street and then to Buena Vista Street, where the vehicle overturned on Buena Vista Street, just in front of the Police Station. Justin Goff, 26, is on remand at the Belize Central Prison after he was accused of wounding and sexually assaulting a 19-year-old female. Allegations are that on Wednesday, April 21st, 2014, the woman was walking on the street when Goff approached her and touched her breast. She says she was offended and punched him in the mouth. Goff punched her back in the mouth and they began to tussle. She eventually got away and fled the area. The woman made a report to police after which Goff was arrested and charged for assault and wounding. Julian Willoughby, a 24 year-old Antelope Street resident with many enemies, died after a wild shooting incident which left 4 other young people injured on Friday May 5, at around 10:30 p.m. Willoughby was socializing with 21 year-old Chris Reyes, 20 year-old Phillipa Ramirez, a 14 year-old student and 18 year-old Francisco Rivas at an apartment complex on Antelope Street Extension when 2 gunmen ambushed the crowd and opened fire. Reyes was shot to the left arm and left upper chest area, while the minor was shot in the left leg. Ramirez suffered an injury to the left side of the jaw, and Rivas ended up with a bullet in his left upper back. Willoughby, who seemed to be the man that the assailants were targeting however; suffered multiple gunshot injures to the body. He was the only victim who was trapped inside one of the rooms which prevented his escape. In the room, the gunmen executed him after which they immediately retreated and escaped into a waiting vehicle on Pitter Street. On Friday, May 2, 64-year-old Marjorie Pitts appeared before Magistrate Dale Cayetano and pleaded guilty to a charge of being in possession of metal pipes used to smoke drugs. Police officers were conducting foot patrol on Cemetery Road at about 2 p.m. on Wednesday, April 30, when upon reaching Taylors Alley they saw a female in the area acting suspiciously. The officers approached and conducted a search on her which resulted in the discovery of two metal pipes. She was arrested and escorted to the police station where she was charged. On Monday May 5, 52-year-old Brenda Mejia was convicted of drug trafficking before Chief Magistrate Ann Marie Smith. While she escaped an immediate jail term, she was fined $10,000. The Chief Magistrate, did not fine and confine but rather ordered her to pay $3,000 forthwith, in default 2 years and the balance must be paid by March 2015, in default 5 more years. Mejia was busted at her home on August 20, 2013. She was found in possession of 113.4 grams of cannabis by Cpl. Gino Peck, and two other officers Deon Welch and Harold Grinage. The bust was made when the officers searched her home and under the house bottom, they found a bag with what appeared to be a leafy like substance suspected to be cannabis and it was shown to her after which she was charged. The National Elite Basketball League competition continued over the last week with four games on the schedule. On Thursday May 1, at the Stann Creek Ecumenical College Auditorium in Dangriga Town, the home team the Dangriga Warriors edged out the visiting Toledo Diplomats by the score of 48-44. The top scorers for the Dangriga Warriors were Jamir Flores with 12 points, 4 rebounds, 2 assists and 4 steals, Brandon Flowers with 7 points, 3 rebounds, and 2 steals, Gary Francisco with 7 points, 3 rebounds, and a steal, and Trevaughn Usher with 6 points, 3 rebounds, and 3 assists. For the Toledo Diplomats, their top scorers were Jovannie White with 12 points, 6 rebounds, 1 assist and 3 steals, Elbert Arida with 10 points, 5 rebounds, 1 assist and a steal and Frank Lopez also with 10 points, 5 rebounds, 3 assists and a steal. The competition then continued on Friday May 2, at the Bird’s Isle here in Belize City where the visiting Cayo Western Ballaz won handily over the Belize City based Smart No Limit squad by the score of 77-63. The top scorers for the Cayo Western Ballaz were Kurt Burgess with 20 points, 11 rebounds, 4 assists and 2 steals, Travis Lennan with 18 points, and 5 rebounds, and Farron Louriano with 14 points, 14 rebounds, 5 assists and 2 steals. The 2014 Football Federation of Belize (FFB) President Cup Tournament opened on Saturday May 3. On Saturday May 3, at the Michael Ashcroft Stadium in Independence Village, the visiting Roaring Creek United defeated Sagitun by the score of 3-2. The goals for Roaring Creek United were scored by Alden Crawford in the 47th minute of play, Michael Lewis in the 54th minute of play and Orin Reneau in the 92nd minute of play. Meanwhile, the goals for Sagitun were scored by Ashley Torres in the 72nd minute of play and Wilbert Rivas in the 13th minute of play. The competition continued on Sunday May 5 with two more games on the schedule. In the game played out at the Ricalde Stadium in Corozal Town, Progresso FC edged out San Antonio FC by the score of 2-1. The goals for Progresso FC were scored by Marlon Miranda in the 42nd minute of play and Eliazar Itza in the 78th minute of play. For the San Antonio FC, the only goal of the game was scored by Russell Casanova in the 55th minute of play. The Semi-final round of Premier League of Belize Belikin Cup Tournament commenced on Saturday May 3, 2014 with 2 games on the schedule. At the Carl Ramos Stadium in Dangriga Town, the league’s top team, Police United edged the host team the Belize Defence Force by the score of 2-1 to take a 1-0 lead in the home and away series. The visiting Police United got on the scoreboard first when Clifton West scored the 1st goal of the game in the 31st minute of play to give his team a 1-0 lead. At the end of the first half of the game, the Police United enjoyed a 1-0 lead. The Police United team took the 1-0 lead well into the second half of the game and it not until the 81st minute of play that Ambrose Thomas scored for the Belize Defence Force to even the game at 1-1. But that was short lived, as Police United offence was able to penetrate the Belize Defence Force’s defence when Danny Jimenez scored the winning goal in the 87th minute of play. The 2013-2014 Belize City Primary Schools Volleyball competition opened on Wednesday April 30, 2014 at the Bird’s Isle in Belize City. On Wednesday April 30, in the girls’ game played, Holy Redeemer School defeated Hummingbird Elementary School by the score of 25-11, and 25-20. In the boys’ game, it was also Holy Redeemer School winning over Hummingbird Elementary School by the score of 25-13 and 25-18. The competition then continued on Tuesday May 6, with three games on the schedule. In the girls’ game played, St. Ignatius School defeated St. John Vianney School in three sets by the score of 26-24, 20-25 and 15-4. In the first of two games in the boys’ category, Holy Redeemer School defeated All Saints’ School by the score of 25-13 and 25-9. There are more changes taking place within the Princess Hotel group in Belize; fortunately, these changes are positive for the industry and the company’s employees. The Princess Hotel in Belize City will now be operating under the internationally acclaimed Ramada brand as the Ramada Belize City Princess. Erol Olcan, Princess Hotel General Manager, stresses the fact that there is no change in ownership of the hotel. He says the company still belongs to Turkish owned Princess International Limited but it is a new chapter in the company’s affairs and a partnership agreement has been signed with Ramada. The main purpose of the partnership is for Princess to benefit from the global marketing of the Ramada brand. The Belize City Princess will now be featured on Ramada’s global reservation system which should attract more customers to the hotel (and tourists to Belize). The Cycling Federation of Belize informs the Belizean populace that a contingent of six male cyclists left the country on Tuesday May 6, 2014 enroute to Puebla, Mexico, where it will participate in the Pan American Cycling Road Championship that is scheduled for May 6th -11th, 2014. A total of 22 countries will be participating in this event, from which a total of 18 spots (13 for Road Race and 5 for Time Trial) will be distributed for the Pan American Games scheduled for Toronto, Canada in 2015. The Belize Team is made up of Joel Borland (u-23), Marlon Castillo (Elite), Gregory Lovell (Elite), Giovanni Lovell (u-23), Byron Pope (Elite) and Ron Vasquez (Elite), Perry Gibson (Head Coach) and Orson Butler who is the Central Region President. All six cyclists will be participating in the Road Race, while Marlon Castillo, Byron Pope, Joel Borland and Giovanni Lovell will be participating in the Individual Time Trial. The Caribbean Court of Justice has ruled that Jamaican national Maurice Tomlinson can proceed to challenge the immigrations laws of Belize. Tomlinson went to the Trinidad and Tobago-based CCJ contending that the immigration laws of Belize and of Trinidad and Tobago discriminate his freedom of movement as a CARICOM national under the Treaty of Chaguaramas because he is a gay man. Section 5 of the Immigration Act lists homosexuals or persons living on or receiving proceeds of homosexual behaviour as persons who can be denied entry to Belize. Belize City resident twenty seven year old Vince Martinez Junior was shot and killed last night in Ladyville village, Belize District. Police say that when they went to the scene of the homicide, a bus stop in front of the Puma Gas Station, around 6:15 pm on Wednesday, they found Martinez’ body in a pool of blood with a single gunshot wound to the right side of the head. Initial investigations by police reveal that Martinez was sitting under the bus stop when a man of dark complexion came running from the direction of Marage Road and allegedly fired the single fatal gunshot. Some family members of a primary school girl from the Maya Mopan area of Belmopan were shocked this afternoon to learn that their pre-teen daughter was the victim of what they originally thought was a traffic accident this morning. The Standard 5 student of a primary school in Belmopan left home for classes this morning, but just before midday, the family received word that she was at the Western Regional Hospital in Belmopan. The original report was that the girl was the victim of a hit and run accident but soon after the story was first published, word came that there was no accident. Around 6:00, Wednesday evening, a Belize City man was executed in the village of Ladyville near a popular gas station. According to police, 27 year old Vincent Martinez Jr. of a Kings’ Park address in Belize City was found motionless in a pool of his own blood with a single gunshot wound to the right side of the head at the bus stop in front of Puma gas station located at the corner of the Philip Goldson Highway and Marage Road in Ladyville. He was shirtless and wearing long blue jeans pants. Police say Martinez was sitting at the bus stop when a single gunman, dark-skinned and in white shirt and black long pants, ran at him from the direction of Marage Road and fired once at Martinez, before running back the way he came and escaping in a waiting car. Jamaican homosexual activist Maurice Tomlinson is now one step closer to potentially overturning local immigration laws he feels are discriminating against his right to free movement as a homosexual. This morning the Caribbean Court of Justice (CCJ) granted Tomlinson special leave to file an application under the court’s original jurisdiction, seeking to have the court declare that the immigration laws of Belize and Trinidad and Tobago are arguably prejudicial to him. Presenting the judgment of the court, CCJ President Sir Dennis Byron said that Tomlinson had met the standard of presenting an arguable case. According to the court, the very existence of the laws amounts to prejudice, the states’ arguments that they do not treat homosexuals that way in practice notwithstanding. It is in the interests of justice that the CCJ is allowing the case to proceed, as they believe that there are significant questions about aspects of community law, the relationship with domestic law and the obligations of states under the Revised Treaty of Chaguaramas which must be answered. On Wednesday night the top two officials from the Healthy Caribbean Coalition began a two day working visit to Belize. The organization serves as a link between non-governmental organizations and individuals promoting issues of non-communicable diseases and especially cancer. Adjunct Professor of medicine at the University of the West Indies Cave Hill, Barbados, Sir Trevor Hassell, is the President of the Coalition and told us that Belize’s Cancer Society, the local affiliate, has been recognized for its work in bringing awareness to the issue of cervical cancer among women. With funding procured for it from the Australian High Commission Aid Development Office, 600 pap smear tests have been administered to women across the country, many of whom had never been tested before and knew nothing about cervical cancer. Professor Hassell added that it is not only important for individuals to live healthy lifestyles – avoiding foods high in sugar, fat, salt and so on and not drinking, smoking or practicing other harmful behaviours – but for there to be an enabling environment in the country for this to happen. Cuban fugitive accused of gold heist sent to U.S.
Raonel Valdez-Valhuerdis, with two other men, is accused of masterminding the biggest gold heist in Florida history, robbing the American owner of a Bolivian-based gold exporter of 100 pounds of gold flakes in two suitcases valued at US$2.6 million in October of 2012 before fleeing the country. In February of this year local immigration officials found him in the bushes near the Western border with a Cuban passport but no Belize immigration stamp to show that he had entered. After local courts ordered him to pay a fine for illegal entry, there was a three-way back and forth between Belize, American and Cuban authorities as to what to do with him. Should he be sent back to Cuba, or back to the U.S. authorities who wanted him? Minister of Immigration and Nationality Senator Godwin Hulse discussed the issue with reporters on Wednesday in Belize City emphasizing that even in thorny cases like this one, Belize tries its best to follow the law. Despite opposition to the planned mega-tourism projects at Harvest Caye and Stake Bank, the Government has thrown in its lot with their developers. Even as the Department of the Environment is accused of running roughshod over its own protocols and the Belize Tourism Board is charged with ignoring its own plans for tourism in the area, the Government clings to the hope that development will come sooner rather than later. Senator Godwin Hulse, who chairs the Cabinet’s sub-committee on Investment, re-states the Government’s position. He says that the Government is for development of the South and lifting the residents there out of poverty. The first prize for the Women’s Cross Country Cycling Classic to be held next Sunday, May 18, has been doubled from $1,500 to $3,000. It came about as part of efforts to promote equality for women in Belize, and the members of a committee consisting of members of the National Women’s Commission and Special Envoy for Women and Children Kim Simplis Barrow, are seeking means of influencing how women are perceived in Belize. Mackeva Westby, Program Coordinator in the Special Envoy’s Office, reports that the grant facilitating the prize came from the Oak Foundation. Following the 20,000 Strong Women’s Empowerment Rally in March, an Action Plan Committee 2014 was formed specifically to look at ways women’s lot could be strengthened. A few weeks ago he was $5,000 richer as a result of donation for the completed bust of Thomas Vincent Ramos, Garifuna hero. But tonight, sculptor Stephen Okeke has once more run afoul of certain elements that he says are trying to suppress his creativity. Because his deal with key sponsors of the project has apparently fallen through, Okeke is putting up the bust for sale, as he previously did with that of Philip Goldson. Okeke says he will not put up with any more abuse from individuals who question his motive for putting together the bust, especially those who suggest he is a con artist trying to milk the community. If you want to buy the bust contact Okeke at 662-1678. The Punta Gorda police station is undergoing major renovations. The improvement works started on April 15 and is expected to be completed by July of this year. According to the Deputy Commander of the PG Police Inspector Ernel Dominguez, the building has not had a major renovation for close to two decades and the changes being made will make for a more welcoming atmosphere for members of the general public who seek the services being offered. What a whirlwind it has been since I returned home from covering the Agriculture show Belmopan Monday Morning. Right before I was about to have travel related a Skype interview, a bunch of my important files disappeared off my laptop. I managed to remain calm and focus on the task at hand not get too bummed out by it. Thankfully my tech help was able to help me recover some of the files but we have not had time to find the rest. My interview went well and my homework was to make a short video resume in less than 24h and get tacoboy to do a 10 min interview asap. Mission accomplished on both counts – you can see my video below. My focus quickly turned to travel TV shows to travel trade shows as the Belize Tourism Expo (BETEX) was starting and I needed to book our hotel in Belize City and hop on a plane. I also met an amazing woman who started and really devotes her life to helping the birds of Belize with The Belize Bird Rescue. We are so lucky to live in a country with some many gorgeous birds from the awesomely oafish pelican… There was also a huge need for sick or injured birds – both those who had been kept as pets and mistreated or birds that were found hurt. Nikki got to work…and birds quickly became her passion. And when I followed her on a tour of the enclosures on her property and when I met some of the birdies (some with broken wings, a few blind parrots and others), I could see why… Belize has some GORGEOUS native birds. An amazing climate and country where birds like Harry fly free in the wild. This year’s tax season has finally been put to bed. And many people — both small-business owners and consumers — are breathing a collective sigh of relief. However, there is a fundamental difference between business and personal finances when it comes to taxes. While the “average Joe” may not have to worry about taxes again until next year, “Joe the small-business owner” needs to start thinking about his next quarterly tax filing now. Yes, for the small business owner, the taxman cometh four times a year. While this is bound to cause anxiety, it doesn’t have to be overwhelming. With proper planning and the right financial tools, many business owners can approach each filing with confidence. For the entrepreneur who has achieved this, I applaud you. And for the rest, to start you off on the right track for next year I’ve flagged seven financial faux pas that are commonly overlooked by small businesses. “Don’t You Worry ’bout a Thing” in San Pedro, Ambergris Caye, Belize. Sitting on the veranda – the western or lagoon facing one – this morning with my mug of black coffee (no sugar) and the iPad I did what I normally do first and read The Times online. I don’t know why but I nearly always start off by reading the obituaries first. A morbid curiosity on my part? I don’t think so. I actually do enjoy reading the biographies of the famous and not so famous. Sometimes its the achievements of the latter that I find more interesting and (sometimes) more uplifting. The greatest pleasure I get though is being in a position to read them. Life is good and all that … Having finished reading The Times I switched to Facebook and my feeling of joie de vivre was knocked sideways when I read the following comment that had been posted in respect of yesterday’s edition : “If you are going to make the claim that you are a “writer,” be cognizant of your spelling, use of punctuation, and grammar…and most importantly, don’t be a retard!”. My initial reaction was irritation but this was quickly followed and replaced by anger. What had I done to upset someone so much that they felt compelled to make public such views. What could I do in retaliation? But then my mind wandered a little -it’s apt to do that a bit nowadays – back to the days when I worked for News international and I was in attendance at a ‘Sun editorial meeting. Many may wonder, why it is important to get insurance when applying for a credit facility (loan) at any financial institution. There are many reasons why it is important and why its commonly requested by financial institutions. One main reason is the fact that it provides security benefits for both the lender and the borrower. It’s used as a security blanket to protect the client’s investments by providing coverage in case of any damages to the collateral, while offering a guarantee of payment to the financial institution. Three types of insurance that are normally offered and requested by the financial institutions are: Works In Progress insurance Building insurance Life insurance Works in Progress Insurance is offered to clients who apply for a loan to build, repair or renovate. The insurance primarily covers properties that are undergoing new construction, repairs, renovations or major rebuilding works. It is only required during the construction phase of the project and it is required to be undertaken by the property owner with the financial institution as beneficiary. This type of insurance is highly recommended to property owners since they are exposed to the possibility of a great loss if the works are damaged by an insured peril such as fire, theft or flood during the building phase. An IBC is the most popular type of offshore corporation as it is designed for any international business activity, does not pay any taxes in the jurisdiction where is established, provides confidentiality to its owners and is not subject to reporting requirements. "According to different lists of international organizations, there are dozens of countries that can be considered as tax heavens. But these countries are far from providing the same advantages, and each is specialized in hosting one or more types of the simplest to the most complex financial transactions. In this respect, Belize is the no. 1 option for international investors who need the advantages provided only by an IBC established in Belize, where privacy is a state policy", said an ICO Services executive/official. Were it not for conscientious documentaries, topical, historic and often under-reported news-worthy issues might never be exposed. Thanks to Ali Allie and Ruben Reyes who wrote, produced and directed the documentary “Garifuna in Peril,” the fast-vanishing Afro-Amerindian culture struggling to survive in Guatemala, Nicaragua, Belize and Honduras is now getting some notice. Reportedly the entire community could disappear after the next generation. Since production in 2012, the film has consistently gained momentum with screenings at film festivals throughout the USA, Canada and in every country the culture endures. From Cannes, France, to Zanzibar, the plight of a proud people is slowly being acknowledged as one to save from extinction. In a 99-minute documentary that begins with a mother schooling her two sons about the importance of maintaining the Garifuna language, she lovingly implores -- Ricardo and Miguel -- to speak the tongue of her people. In an environment where Garifuna lags third behind Spanish and English she is of a minority that believes in its salvation. “We went to cast the movie and were shocked that there was almost no one under 18 years old who spoke the language,” director Allie stated. Dr. Rachel Graham experienced what she can only describe as her “Aha Moment” when she met a 22-foot long whale shark underwater for the first time. “If that doesn’t make you think about a change of lifestyle and work, nothing will,” she said. Register now to reserve your seat when the Houston Zoo’s Call of the Wild Speaker Series presents “Sea Stories” with Dr. Rachel Graham on Thursday, May 15, 2014. Doors open at the Zoo’s Brown Education Center for this free presentation at 6:30 p.m. Register online at http://www.houstonzoo.org/experiences/wildlife-speakers/. 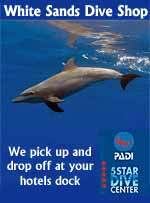 Dr. Graham works to save sharks and rays with the Gulf and Caribbean Sharks and Rays Program. Based in Belize, Dr. Graham has taken her conservation work to Mexico, Honduras, Cuba, Pohnpei (Micronesia), and the Gulf of Mexico’s Flower Garden Banks National Marine Sanctuary. The Houston Zoo’s Call of the Wild Speaker Series offers a forum for global conservation leaders to share their knowledge, concerns and plans for the future. Proceeds from the Call of the Wild Speaker series benefit the Houston Zoo’s local and global conservation initiatives. The Houston Zoo’s Call of the Wild Speaker series is generously supported by The Tapeats Fund and by United Airlines, the official airline of the Houston Zoo. Executive President of Interjet Miguel Aleman Magani, announced on Wedenesday May 7th, that the Mérida International Airport will become a “Hub” for this airline. Interjet seeks to connect the “Maya World” creating regional routes that will allow faster and better communication with other states, such as Tabasco, Campeche, Chiapas, Veracruz and Oaxaca, among others. “It is a medium term plan” Interjet president Miguel Aleman stated, before the Governor of Yucatan, Rolando Zapata Bello, during the grand opening of the Tianguis Turistico Cancún 2014. Zapata Bello said that “This is not only a commitment in terms of new air routes and connections, but also of investment and promotion of the wide array of cultural and natural attractions that the Peninsula has to offer”. Aleman Magnani confirmed that a Cancun-Palenque flight is about to commence service. The official announcement was made later on by the governors of Chiapas and Quintana Roo. The Hub will allow the airline to operate domestic flights departing from Merida, and then seek to extend the circuit to international destinations, mainly in Central American countries such as as Guatemala, Belize, Honduras and El Salvador, that are also part of the Mayan World. The airline is still in the process of acquiring 40 Airbus A320 aircraft and 20 Superjet 100 airliners, to cover other routes also departing from Merida airport. José Luis Garza, Interjet General Directive Manager, explained that the 100-seat aircraft are ideal for short routes, estimating that it could have an occupancy factor of 60% during the year and up to 80% during high seasons. I write about travel for a living, and recently that’s kept me from writing about strangers. Which does not make me happy. This also makes me think about travel all the time. In summation: I need to travel. Soon. For now, I’m thinking back to one of my favorite moments in Belize. I was snorkeling in Shark Ray Alley, and getting the chance to actually hold a shark. As you can see, I seem to have the shark in a wrestling move—maybe a modified half nelson or the beginnings of a sleeper hold—but I was really just trying to pet it. I do have one regret from my trip to Belize. I really wish I could have made it to the Chicken Drop while I was there. The Chicken Drop is an organized event where humans watch with great interest as a chicken defecates on a large bingo board. People bet on which number the chicken will choose. Cross the border into neighbouring Belize and you will discover an equally extraordinary world of jungle-veiled ruins, jaguar preserves and unbroken coral reefs. Most visitors divide their time between the coast, most popularly at the reef protected Ambergris Caye, where we recommend Victoria House, a grand colonial residence located on a quiet stretch of beach, and the jungle, where Chan Chich , part of a privately owned, 250,000-acre nature reserve near Gallon Jug, and Chaa Creek, a secluded riverside lodge in the shadow of the Maya Mountains, are two of the best places to stay. Video: tacogirl video resume, 5min. This video resume shows a small slice of what it is like having traded in Canadian winters to live my dream life on the tropical island of Ambergris Caye. Video: FIFA World Cup Trophy Tour - Belize, 1min. The FIFA World Cup Trophy made its way to Belize and lucky fans from all over the country had the opportunity to visit and get their photo taken with the trophy. We had delegates, politicians, football players from the National Team and of course the fans. Bowen & Bowen along with Coca-Cola Belize are happy to be part of this history making event in Belize. Produced by Joanna Popik and Ben Popik of Island Films. Video: Belize Travel Video, 4min. With one foot planted in the Central American jungles and the other dipped in the Caribbean Sea, Belize combines the best of both worlds. You've heard that the Belize Barrier Reef is the second longest in the world. But have you heard that this reef is home to more than 100 different kinds of coral and some 500 species of fish? This alluring underwater world is undoubtedly the top attraction in Belize. Snorkelers swim through translucent seas, gazing at a kaleidoscope of coral, fish and turtles; divers go deeper, investigating underwater caves and walls and the world-renowned Blue Hole. The turquoise waters are inviting even for those who choose to remain above the surface. Kayakers glide from one sandy, palm-dotted islet to another; windsurfers and sailors skim across the surf by the power of the breeze; sunbathers lounge on the dock, lulled into relaxation by the gentle lapping; and foodies feast on delectable fresh fish, spiny-tailed lobster and other creatures of the sea. Video: Belize Ocean Club Beach Front, 1.5min. The Belize Ocean Club resort comprises of 60 Luxury residences, 30 oceanfront and 30 lagoon front, each being 1,100 sq ft and consisting of two en-suite bedrooms, living room, kitchen and large balcony. The hotel is set on six acres of beautiful landscaped tropical gardens, right on the Caribbean Ocean. Our resort features four hundred feet of private beachfront in Maya Beach, one of the Placencia Peninsula's most sought after areas. The gentle east indies trade winds blowing through the resort at night and the occasional flash of lightning in the distance provide the spectacle as guests drink at the beach bar or have dinner under the palapa restaurant. The other side of the resort faces the resplendent lagoon and mountains, with stunning sunsets and natural wildlife. All rooms face either the sea or lagoon. Video: Sea2Sky Drone Vision Test Flight: San Pedro, Belize, 6min. 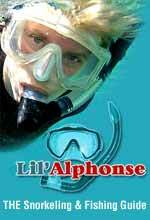 Video: Belize Snorkeling the Blue Hole Good 1080, 1.5min. Video: The Black Hole Drop with Ian Anderson's Caves Branch, 4min.